With five meets to watch just this Saturday, it will be another busy afternoon of gymnastics for the men. The All-Academy Championships have Air Force making a trip out to the east coast as Oklahoma heads to Big Ten land for the second weekend in a row. California and Stanford are set to battle in their fifth-straight meeting while Penn State, Springfield and UIC get Sunday all to themselves. Why You Should Cancel Plans For It: The All-Academy Championships pits the three armed forces schools against each other for the first time this season. With all three ranked within four spots of one another, this should be a great meet to watch. Last week, Navy used a huge comeback in the final two rotations to overcome Army, so surely the Black Knights will be looking for revenge this weekend. 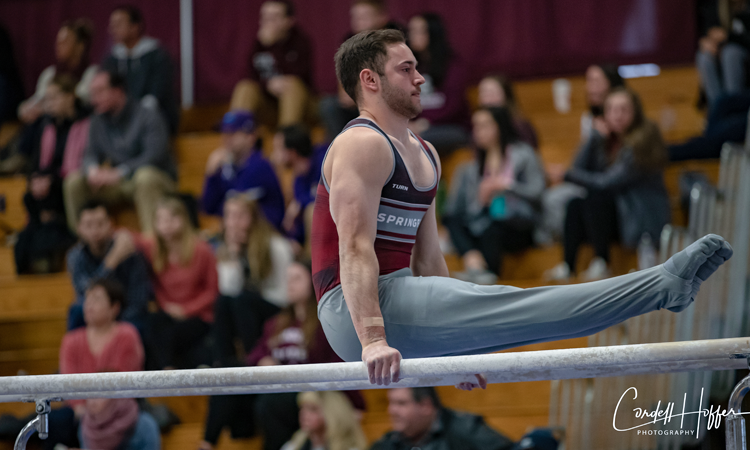 Air Force will be relying on senior Lukas Texeira to provide big scores on his three events, especially on high bar where he is currently the top ranked gymnast in the country. 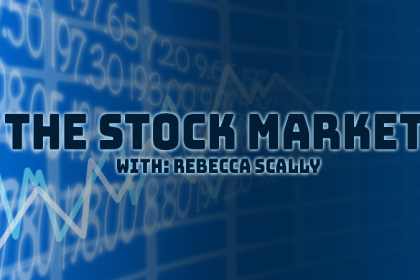 What Else You Should Know Before Tuning In: Air Force comes into this weekend’s competition as the lowest ranked team, but the Falcons have won the past six All-Academy Championships. Why You Should Cancel Plans For It: Oklahoma is heading up to Big Ten country for the second weekend in a row to take on Iowa in the week’s only top 10 matchup. Iowa is coming off its home opener last weekend that saw the Hawkeyes record a season high score and break 400 for the first time. 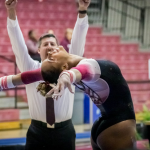 The Sooners, who are ranked first in the country on four events and second on the other two, will look to rebound from last Saturday’s performance when they posted only the third highest score of the weekend. Iowa returned to form last week, primarily on high bar where it’s ranked fifth in the country, and will try and carry that momentum to another strong home performance in its final meet before Winter Cup. What Else You Should Know Before Tuning In: Oklahoma has debuted new all arounders at each meet this season, with world medalist Yul Moldauer one of the few remaining Sooners yet to compete all six. 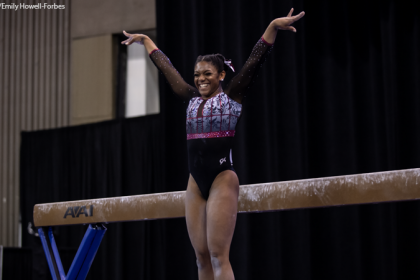 Why You Should See the Error of Your Ways: Arizona State was narrowly edged by California for second last weekend at the Pac-12 Invite but will try to carry the momentum of its season high score with it as it travels to take on Minnesota. Former national team member Shane Wiskus had a standout performance last weekend as he led the Golden Gophers to their first win of the season and a rise to number four in the rankings. Wiskus will have a big challenge in the all around from Arizona State’s star gymnast Kiwan Watts, who has posted scores in the mid-82s in both of his all around performances this season. Why You Should Clear Space on Your DVR: For the fifth straight week we have a matchup between the Bay Area rivals. 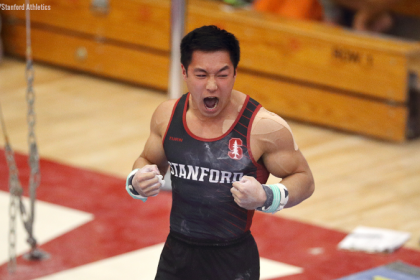 Stanford has bested California each time and will likely do the same this outing, coming off of a season high score and last week’s top total in the country, even with three gymnasts out due to illness. California has been inching closer to breaking 400 for the first time since the 2017 season, and in front of a home crowd coming off a season high score, the Golden Bears will have a good opportunity to achieve that this Saturday.